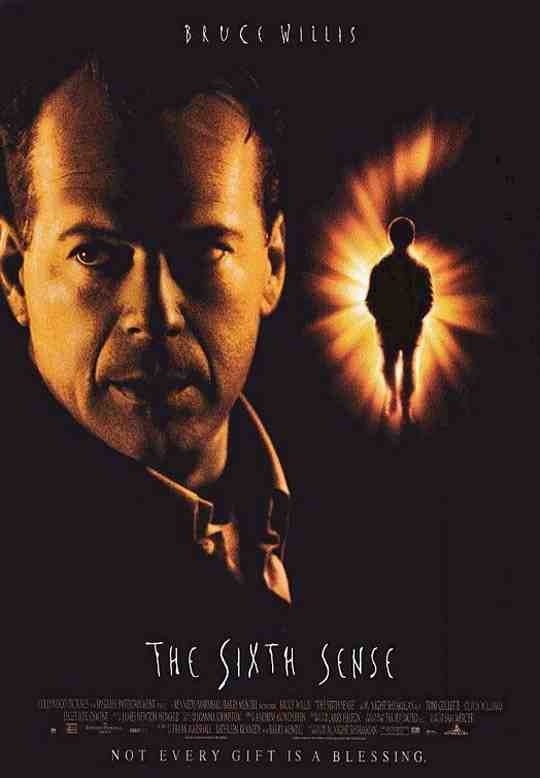 Starring: Bruce Willis, Haley Joel Osment, Toni Collette, Olivia Williams, Donnie Wahlberg, Trevor Morgan. Every once in a while a film comes along that instantly appeals to the public and becomes part of pop-culture “The Usual Suspects” and “The Shawshank Redemption” were a couple and “The Sixth Sense” is another. It follows the story of Cole Sear (Haley Joel Osment) an 8 year old boy who is misunderstood by all around him. He seems withdrawn and lacks confidence. His mother Lynn (Toni Collette) cannot work out what the problem is and neither can child psychologist Dr. Malcolm Crowe (Bruce Willis). Through time though, young Cole begins to confide in Dr. Crowe and reveals to him that he can “see dead people” and is in fact plagued by ghosts all around him that everyone else is unaware of. This was the film that brought M. Night Shyamalan’s directing to everyone’s attention and still remains his best film. He has found it difficult to replicate the success he had with this one and it’s no surprise why. It is a brilliantly crafted ghost story with a genuinely surprising twist. Shyamalan doesn’t go for anything fancy or any unexpected fright techniques but rather allows his story and characters to unfold in their own time, which in turn allows us to care and invest in the film. Willis gives a very subtle and sympathetic performance, one of which he isn’t usually known for and the Oscar nominated Collette is outstanding and almost unrecognisable as the protective and loving mother. 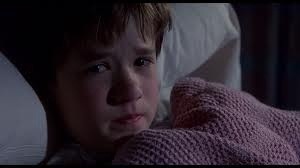 The real star of the show though is young Osment, also Oscar nominated, who is completely believable as the frightened and tormented child. There’s nothing overly gorey or frightening about this film, just damn good storytelling and excellent use of atmosphere. This entry was posted on January 17, 2012 at 9:01 pm and is filed under Drama, Mystery with tags 1999. You can follow any responses to this entry through the RSS 2.0 feed. You can leave a response, or trackback from your own site.